Home > Mutual Funds - Equity > Top TEN Diversified Mutual Funds to invest in India in 2017..! Top TEN Diversified Mutual Funds to invest in India in 2017..! 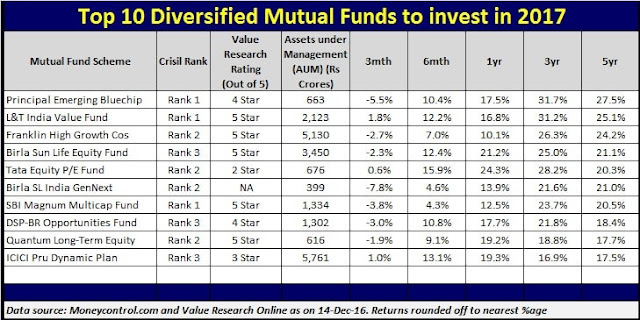 Top 10 Diversified Mutual Funds (MFs) to invest in India in 2017 Post demonetization, many stocks have taken big hit. Large cap and mid-cap mutual funds too took the heat. However, diversified mutual funds were able to sustain and provide higher returns in 2017.